Poll: Should there be different dialogue for if you load from a save? Hello you wonderful people! 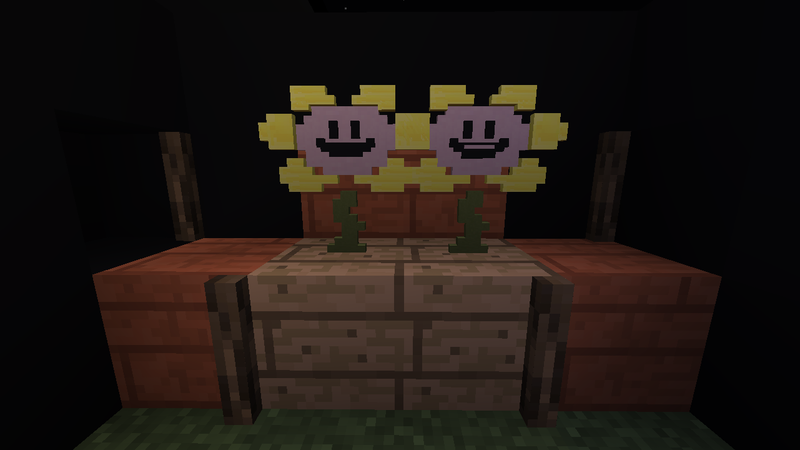 As you can see from the title, I am currently building a full recreation of Undertale in Minecraft! MineTale, because UnderCraft just doesn't sound normal. I will be updating this thread with screenshots of the map as I make it, and I also will be posting videos of my progress on my YouTube channel you can find here. I am making custom models and textures for the map by myself. Also, the only help I could have would be custom models, I'm not fantastic at them. Here is an imgur album of what I have so far. Hopefully you guys like this! I might release occasional demo's for this too! Click here for my youtube! Click here for my modpack!